August 20 - "The Elbows"
The Cape Cod Chronicle article announcing their departure. Lastly, check out this video from the Cape Cod Chronicle which shows the rowboats and their departure. NY Post: "Skip The Hamptons - Go to the Cape"
Today's NY Post says to skip the Hamptons and go to Cape Cod. Avoid the overpriced mediocre restaurants, long lines and velvet ropes, yet still get great food and wonderful beaches by traveling to the Cape. I couldn't have said it better myself! The article highlights P-Town, Wellfleet and Chatham, each the places to stay, places to eat, and the 'best beach adventure'. Check out the article in today's New York Post ... Here. A huge lobster, at 16.5 pounds, has been found off Rock Harbor. It was caught by hand by a diver. This lobster can be seen in North Eastham in the Friendly Fisherman's lobster tank. Check out this Cape Cod Times video. Wow! My July Newsletter Is Available Now! My July 2012 report is available now! This issue of my newsletter has sales results for Eastham through May. Additionally, you'll find my mid-year preview, and articles about this year's Part-time Residents meeting, the record breaking achievement of Eastham's Freeman Hatch, and 2 new listings. This newsletter has been published every month for over 9 years. My aim, with my newsletter, is to provide accurate sales and market information about the Eastham housing marketplace, to add commentary and opinion (as appropriate), and to keep it interesting. Download your copy of my July newsletter now. New Listing - This 3 bedroom, 2 bath, home is an immaculate one-floor-living Cape on a quiet cul-de-sac. An open living/dining/kitchen area, big bedroom, bath, and a separate laundry area are on the first floor. The 2nd floor has 2 good sized bedrooms, an open office area, and a bath. The spacious yard is nicely landscaped. Full clean basement, outdoor shower, oil heat, underground utilities, natural gas to house. Really clean and a pleasure to show. Listed at $419,000. Go to http://45BlueHeronWay.robertsheldon.com for more info and lots of photos. For a Virtual Tour, go ...Here. In the tradition of Groundhog Day, Cape Cod has it's own weather predictor. He is Doug, the Quahog. On June 20th this year he will be carried to his perch at the Skipper Restaurant in South Yarmouth where he'll predict the weather for the upcoming summer season. Last year he accurately predicted 12 weeks (and a day) of beach weather for the Cape. This will be his fourth year and the ceremony will be on all the local (and a few Boston) stations. The 2012 event is supported by Cape Cod Textile, The Skipper Restaurant, Quahog Republic, the Yarmouth Area Chamber of Commerce and the Town of Yarmouth Parks & Recreation Department. 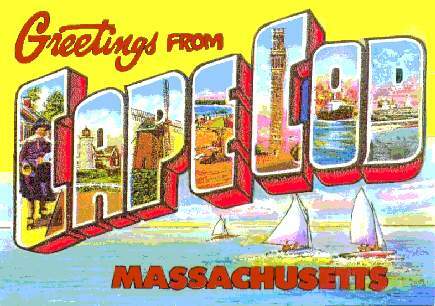 The event was conceived by the Cape Cod Chamber of Commerce and will have plenty of pomp and fun happenings, including a week of Quahog activities. 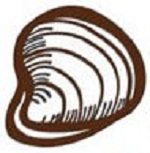 Check out the Quahog Day website at www.QuahogDay.com. The saga of the Cape Cod bear is finally over. In case you've missed it, a 200 lb black bear apparently swam across the Cape Cod Canal sometime about Memorial Day and slowly meandered through just about every town on the Cape until he came to Provincetown. The popular theory is that he was looking for love, but he was clearly 'in all the wrong places' since he was the first recorded bear on Cape Cod in over 300 years. The bear was finally captured in Wellfleet and taken off-Cape to more bear-friendly location, likely in the Berkshires. The Cape Cod Times put together the bear's vacation video. Check it out. This Saturday Wellfleet will have its second annual Harborfest. The event will run from 9AM to 4PM, rain or shine and be centered at the east end of the Town Pier, near the bandstand. 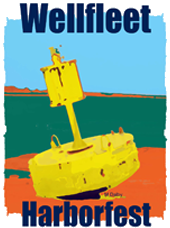 Harborfest will be a special day to promote the boating, fishing and nautical activities available at Wellfleet Harbor and Marina. This festival will kick off the summer season and showcase what Wellfleet has to offer as a waterfront community. You will find a Nautical Flea Market, an "authors" tent, food vendors promoting local seafood (including Wellfleet oysters), and many exhibits pertaining to the Harbor, and recreational and nautical-related activities. This should be lots of fun. Get a calender of events, and more information at the Harborfest website...Here. The Eastham Cultural Councils will hold their 14th annual fine arts and crafts show on June 16th and 17th, 2012, at the Windmill Green. The festival runs from 10 AM to 5 PM each day and its free. There will be over 40 juried artists and crafters on the Green for a show and sale including members of the Cape Cod Artisans Guild and Eastham Painters Guild. There will be a 'hands on' tent where you can create your own masterpiece. There will be jazz, marionette theater, storytelling, good food, and lots of fun. Did I say 'food'? Go to the Hands on the Arts website for a complete schedule. Would you believe that a world record could be set and hold up for over 150 years? Well, Freeman Hatch, a sailing captain from Eastham, set the record for sailing ‘around the Horn’ from San Francisco to Boston in a single hulled vessel. The record he set was 76 days, 6 hours. He set the record in 1853, nearly 160 years ago, and it stands today. Interestingly enough, the record is the result of a wager between two ship owners who discovered that their ships were to leave San Francisco within a day or so of each other, each bound for the US northeast. Captain Hatch, sailing the 180 ft, 3 masted schooner Northern Light set off a day after the Contest, yet arrived in Boston two days before they arrived in New York, having overtaken the Contest at Cape Horn. This record was broken by a 3 hulled racing catamaran in 1993. The cat was equipped with modern navigation and weather instruments. 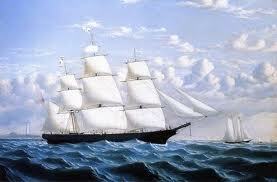 The cat, named the Great American II, beat Captain Hatch’s record by a full week - on it’s second attempt. Freeman Hatch became famous making the astonishing passage in the clipper ship Northern Light from San Francisco in 76 days 6 hours - an achievement won by mortal before or since. Eastham's May sales were a healthy 11 sales. May's sales reflect the activity during the early spring, which was pretty good. Last year May was second only to September in the number of sales. The details.. 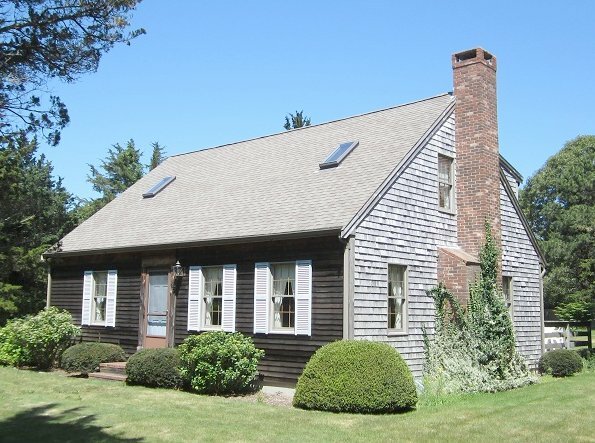 There were 11 homes sold in Eastham in May, up from April's 10. The median sale price in May was 380K. There are currently 118 active single family listings in Eastham, with an average list price of $648K and a medium price of $442K. The average days-on-market is currently 238 days. Lastly, the inventory, while declining slightly, continues to be high for this time of year, providing lots of choice for Buyers. The chart below summarizes Eastham's currect active inventory.